Don't count out a rate hike from the Federal Reserve this year yet. Several Fed officials have hinted in recent days that a rate hike is likely at some point this fall. 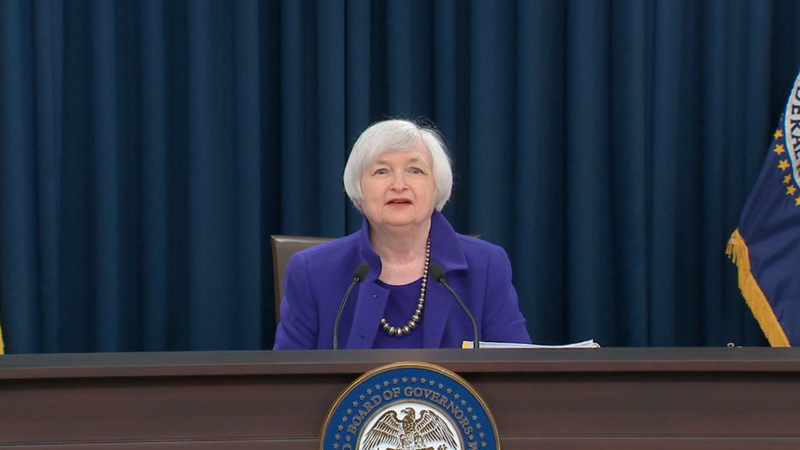 The Fed's next meetings are scheduled for September, November and December. "We are edging closer towards the point in time when it will be appropriate to raise rates further," New York Fed President William Dudley told Fox Business on Tuesday. Dudley said that a rate hike as soon as September is "possible." Dudley's comments were similar to those of Atlanta Fed President Dennis Lockhart on Tuesday. "If my confidence in the economy proves to be justified, I think at least one increase of the policy rate could be appropriate later this year," Lockhart said in a speech. The minutes from the Fed's July meeting, published on Wednesday, show some Fed leaders see an opportunity for a rate hike this year. A few were even pushing for a July rate hike. Some Fed members "judged that another increase in the federal funds rate was or would soon be warranted." The optimistic chatter is a shift from the Fed's messages earlier this year. Fed Chair Janet Yellen had warned that the Fed's committee should proceed "cautiously" when it comes to raising rates. Many experts took that to mean the Fed wouldn't raise rates anytime soon. Not all Fed leaders are so optimistic. St. Louis Fed President James Bullard spoke Wednesday and he sees little, if any, change to the Fed's key interest rate because returns on U.S. bonds are so low and workers' productivity isn't growing quickly. But Investors, who had counted out any chance of a Fed rate hike this year, are putting more money on Dudley and Lockhart. They believe there's a 45% chance of a rate hike in December, up from 35% last Friday, according to CME Group. Still, even one rate hike this year would be be much lower, considering the Fed had projected last December that it would raise rates four times this year. Weak economic growth, market volatility and falling oil prices in the winter have held the Fed back. More recently, the really weak May jobs report wiped out any chance of a rate hike this summer. However, the U.S. job market has bounced back since May with two strong months of job gains. Growth is expected to pick up in the second half of the year, which would further bolster the case for more rate hikes. The Atlanta Fed projects third quarter growth to be 3.6%, which would be well above the 1% growth America averaged in the first half of the year.